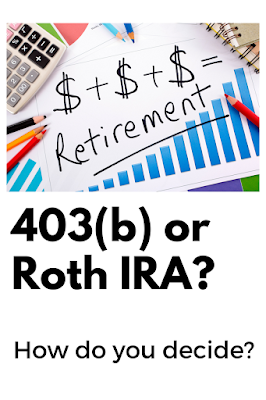 You and Your Money: Teachers: 403(b) or Roth IRA? 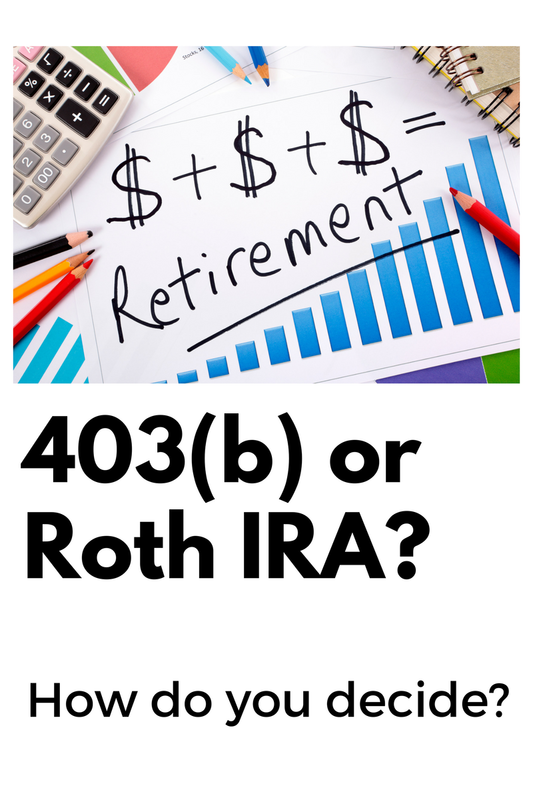 Teachers: 403(b) or Roth IRA? Teachers often have a wide range of 403(b) (or Tax Sheltered Annuity) options. They usually have choices of several annuities and some mutual funds. The 403(b) program offers the opportunity to defer taxes until retirement. Tax deferral means you save on taxes today. Unfortunately, that means you will be paying taxes in the future. A future tax bill means a future debt to Uncle Sam. Some people have found that they end up paying just as much tax in retirement as when they were working. How can that be? During working years, people often have some big tax deductions due to mortgage interest and kids. In retirement, people usually have their mortgage paid off and the kids are out of the house. Without those major deductions, people usually take the standard deduction, meaning they don’t have many write-offs. This is where the Roth IRA can be handy. As you draw money out of your Roth IRA at age 59 ½ or later, the money is totally tax free! The one exception to this is if your initial contribution was less than 5 years ago, you must wait 5 years to take out the gains. The Roth IRA also has the advantage of being able to withdraw the principal tax AND penalty free! While it isn’t a good idea to take money out of your IRA early, it is a nice option in case you have an emergency. The Roth IRA does have some downside vs 403(b)s. As of 2017, you can only contribute up to $5,500 (or $6,500 if you’re over 50) while you can contribute up to $18,000 ($24,000 if you’re over 50). Also, you must earn less than $118,000 ($186,000 if married filing jointly). The answer doesn’t have to be only Roth or only 403(b). Sometimes a combination of both can be the right choice. This makes sense when you can contribute more than the maximum Roth limits.